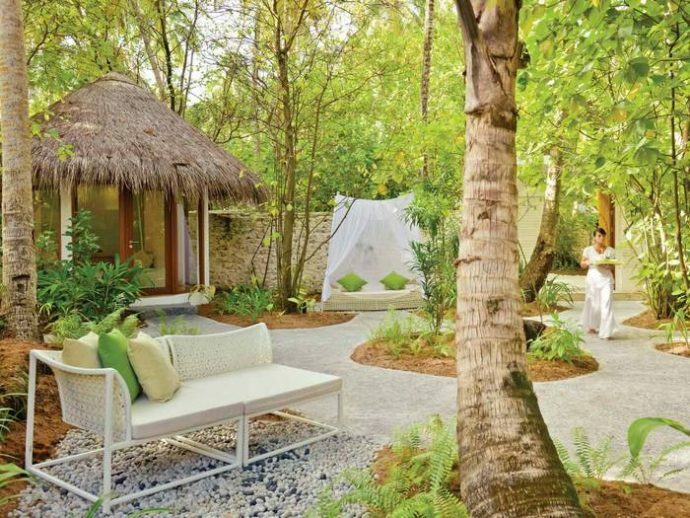 Niyama Private Islands Maldives has announced a collaboration with Beverly Hills IV Therapy to offer a comprehensive menu of IV therapy formulations at its Drift Spa. These customised 45-minute treatments, set to be available from October for USD 250++ per session, help support optimal health and wellness for guests who want to get the most of their Maldives island holiday. Benefits of IV therapy last for at least seven days. Drift Spa’s resident medical staff worked with Beverly Hills IV Therapy CEO Deborah Alessi to create a comprehensive menu of original IV therapy formulations, including such options as Detox, Fat Burn, Hydrate, Jet Lag, Anti-Aging, and Vacation Booster. Each formulation was developed to help heal and rejuvenate guests, so that they can fully enjoy Nature’s Playground. “After 16 hours of travelling to paradise, the last thing you want is to lose days of enjoyment because you are just too exhausted,” Deborah explains. IV therapy delivers nutrients directly to the bloodstream for more immediate results, from addressing stress to maintaining good health levels. A safe, immediate, and effective solution for a wide range of health concerns, IV therapy has become the go-to rejuvenation treatment for busy professionals, pro athletes, travellers, and health advocates alike. Niyama, a popular A-list hideaway nestled in the Dhaalu atoll, offers guests exclusive access to its twin islands – Chill and Play – conveniently connected via a picturesque bridge. The family-friendly retreat, surrounded by picturesque shorelines and lush vegetation, has nine deluxe room categories ranging from spacious beachfront studios and one-bedroom water pavilions to three-bedroom family beach pavilions with two private pools, jacuzzi and a personal spa treatment room. With state-of-the-art amenities, in-room fridges filled with gourmet treats, a private butler plus the magic of the Maldivian island, this is the ultimate antidote to city life. The jewel in the resort’s crown is the magnificent Crescent, a playground of five ultra-chic villas, all with private pools, for up to 14 adults and eight children. 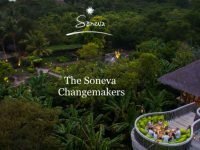 Boasting a private chef, two butlers, a housekeeper and a host of complimentary activities including a sunset dhoni cruise and movie under the stars, this over water sanctuary is the perfect paradise treat for extended families, honeymooners and discerning travellers. With nine dining destinations, including tree house restaurant Nest and the world’s first underwater playground Subsix, guests can enhance their stay at Niyama with surreal gastronomic experiences. Young VIPs will adore the Explorers Kids Club with its range of activities including nature expeditions around the tropical isles to MasterChef classes, while adventure-seeking teens and adults will be inspired by the resort’s excellent water sports offerings such as surfing, scuba diving and jet-skiing. Wellness devotees looking to indulge in a spot of indulgent pampering can retreat to the tranquil Drift by Niyama spa while enjoying the crystal-clear turquoise sea views from the six overwater treatment rooms.